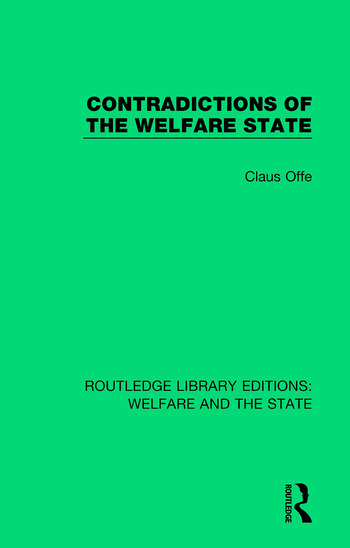 Originally published in 1984, Contradictions of the Welfare State is the first collection of Claus Offe’s essays to appear in a single volume in English. The political writings in this volume are primarily concerned with the origins of the present difficulties of welfare capitalist states, and he indicates why in the present period, these states are no longer capable of fully managing the socio-political problems and conflicts generated by late capitalist societies. Offe discusses the viability of New Right, corporatist and democratic socialist proposals for restructuring the welfare state. He also offers fresh and penetrating insights into a range of other subjects, including social movements, political parties, law, social policy, and labour markets.